A drug addict snatched a £10 note from a 10-year-old girl walking along a Blackpool street. Daniel Arden grabbed the cash the girl had been given by her mother to buy electricity and she said he bent her fingers back as he did so. Arden, 37, formerly of Caroline Street, Blackpool, now of no fixed address, pleaded guilty to theft. He also admitted resisting arrest and being in breach of post prison sentence supervision. 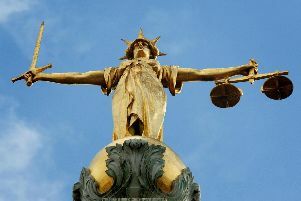 Arden was sentenced to 14 days jail, given a three years conditional discharge and ordered to pay £20 victims’ surcharge by Blackpool magistrates. Prosecutor, Tracy Yates, said the 10-year-old girl was n the resort’s Church Stree on August 20 at 10.30am, with £10 her mum had given her to buy electricity. The girl said Arden bent her fingers back causing her pain as he grabbed the note from her hand then ran off. When interviewed Arden said he felt very sorry for what he had done.